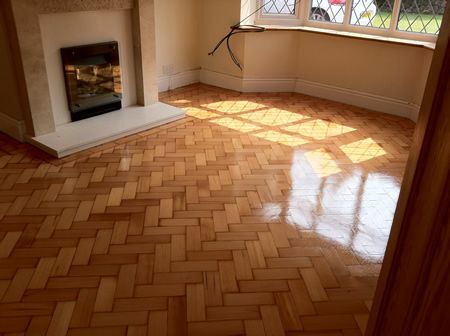 This Gallery is a case study of a completed project [End of April 2011] for a client in Mold, North Wales, there are 17 Pictures in this Photo set. 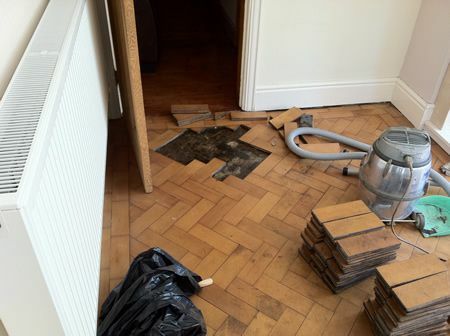 The Columbian Pine Parquet Block Floor in the properties Lounge was not in the best condition as many of the blocks were loose and rattling about underfoot. 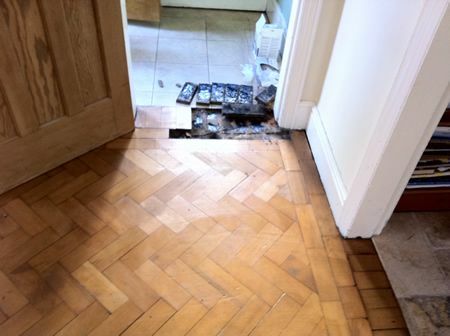 The loose blocks were uplifted and set aside, then the concrete subfloor was given 2 coats of a quality liquid moisture barrier, and then left to dry, in the meantime the blocks were properly scraped and then re-fixed back into position using Laybond L16 specialist flooring adhesive. 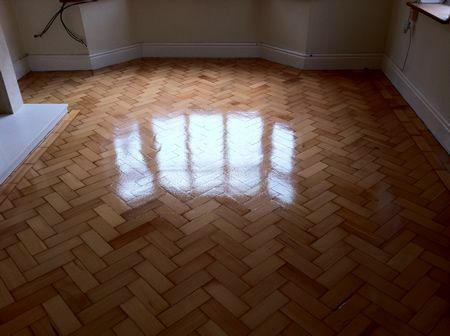 The area was left for 24hrs for the adhesive to properly dry and cure, then we gave the Lounge the Full Woodfloor-Renovations Sand & Seal treatment, using the excellent Lobadur WS Easyprime and Lobadur WS Viva lacquer system, [3 x coats in total] and if we say so ourselves the finished article looked good. 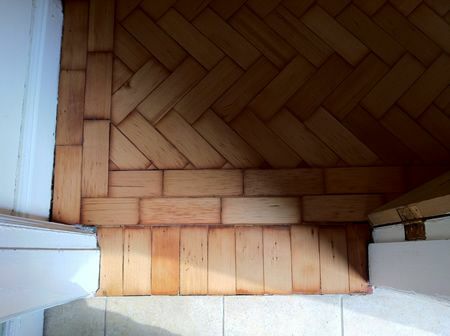 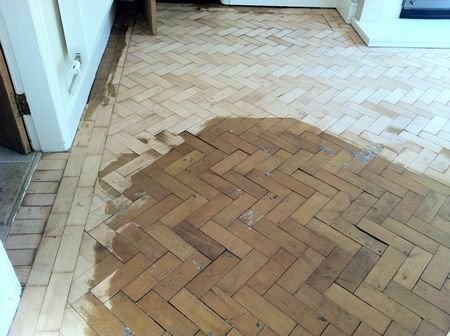 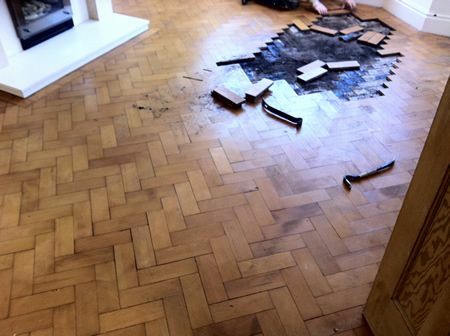 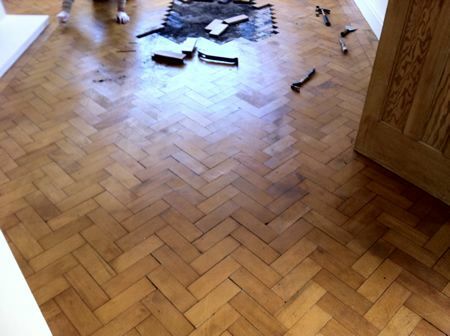 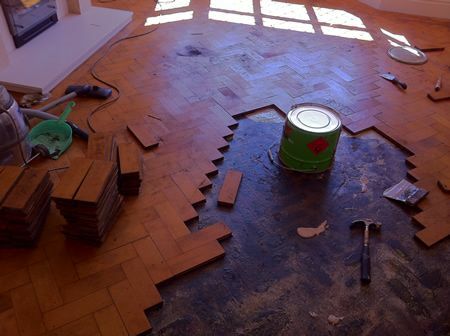 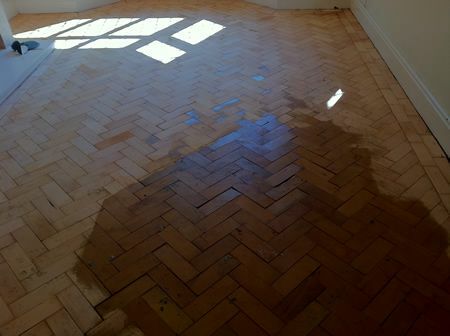 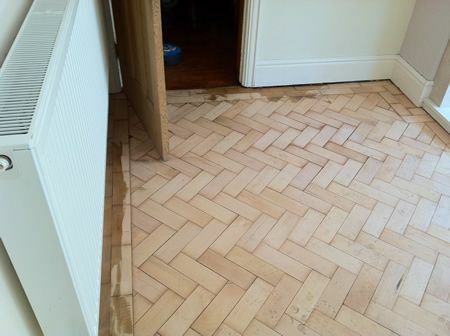 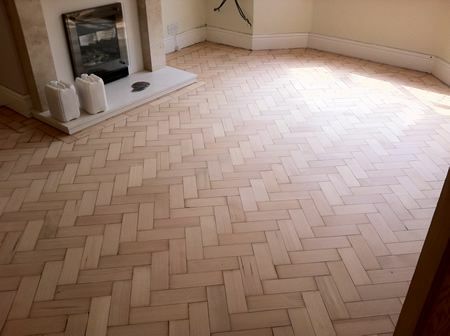 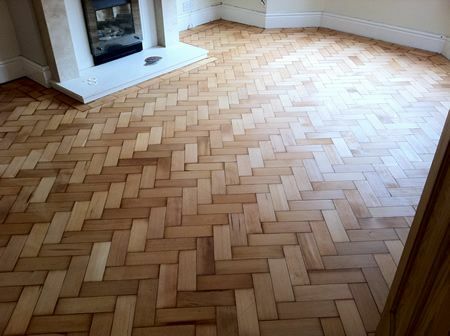 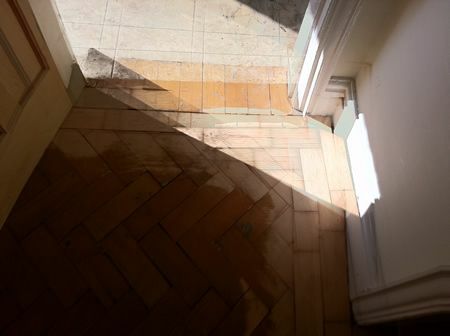 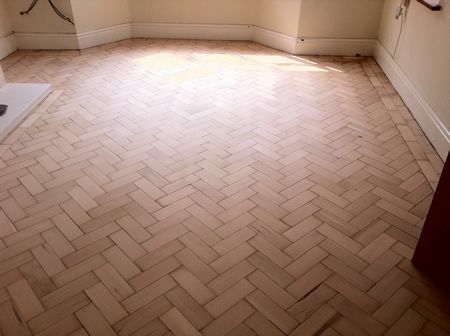 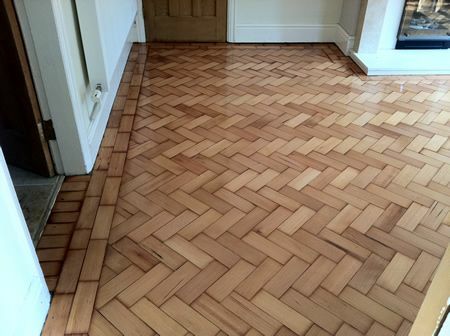 The opinions and views expressed in this article are those of Woodfloor-Renovations through our experiences with the numerous parquet block repair projects that we have undertaken. 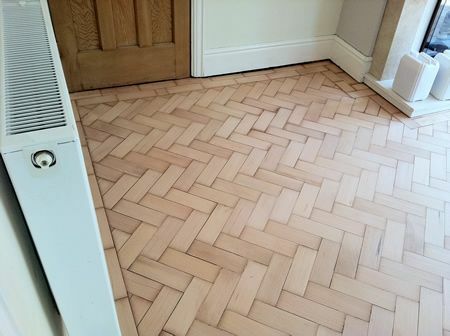 *NB* Woodfloor-Renovations would like to thank Mr. Duncan Conlan , [Lecol UK Sales Manager] for his help and valued technical expertise on this project...Many Thanks Duncan.